New Delhi: Hindi film superstar Aamir Khan on Sunday launched yesteryear actor Asha Parekh's autobiography Asha Parekh: The Hit Girl, co-written with film critic Khalid Mohamed. About the book, Asha told IANS, "I had never thought of writing my autobiography, but Khalid came over to my place one day and he suddenly said 'Why don't we write a book on you?'" 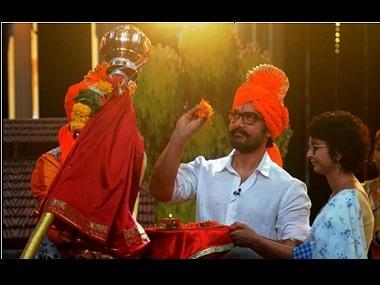 Aamir thanked the 74-year-old actor for giving an insight to her prolific career. "Thank you Asha aunty for opening yourself up because so many film personalities who I've met usually say 'abhi kahan book karengay'.... everyone is really hesitant to do that...," he said. About penning the book, Mohamed said, "...Maybe another sequel can be made from Asha ji's travel...Writing biographies are relatively easier...you are picking up another people's thoughts and achievements." 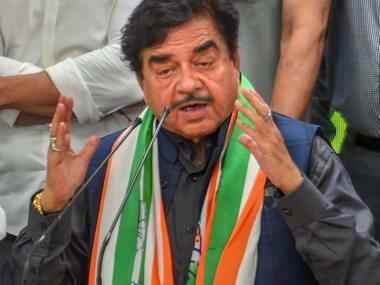 The event was also attended by veteran actor and politician Shatrughan Sinha, who has shared the screen space with Asha in films like Heera and Sagar Sanam. Praising the Teesri Manzil actor, he lauded her as a 'self-made personality'.